Click the Our Products button to view examples of cables produced by South Bay Cable. To request a quotation on your cable requirement just click the Request a Quote button. 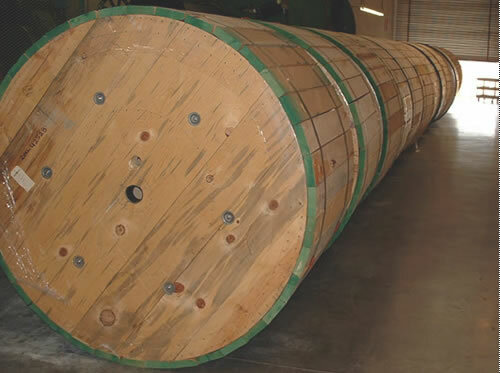 For more than fifty years South Bay Cable has been producing highly engineered, reliable, hard working cables for a multitude of applications. From our early beginnings, using slide rule technology to our current designs which incorporate extensive computer aided design analysis it is still our personal commitment to quality that makes the difference. We take pride in what we do and your success is our success. Our Quality Assurance Department is equipped with a multitude of electrical, optical, environmental and mechanical testing equipment. Testing equipment includes; OTDR’s, Impedance Analyzer, High Voltage Test Facility, Environmental Ovens, Hydrostatic Pressure Test Fixtures and a wide assortment of other testing equipment required to ensure cable reliability. Each cable has its’ own unique set of requirements and all cables are inspected at every step of production. We encourage our customers to visit both our Temecula and Idyllwild facilities to see both the production and testing of your cable. Quality and reliability are designed and manufactured into every cable we build. Each cable design is thoroughly reviewed prior to production, and then tested during all phases of production. This commitment to quality ensures the customer that they are getting the best possible cable for their intended application. has been a designer and manufacturer of specialty cable for the most demanding applications.